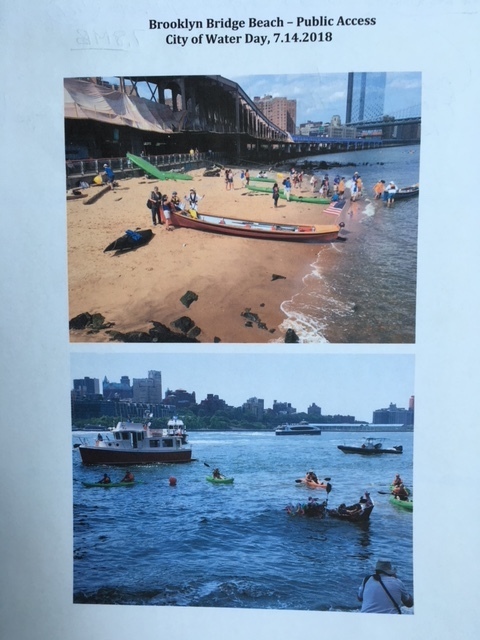 Manhattan’s little, sandy beach under the Brooklyn Bridge was open to the public for one day only – Saturday, July 14, 2018, as part of City of Water Day 2018 events organized by the Waterfront Alliance. For this brief and special moment, individuals were able to actually step down onto the sandy beach and walk along the East River waters edge. 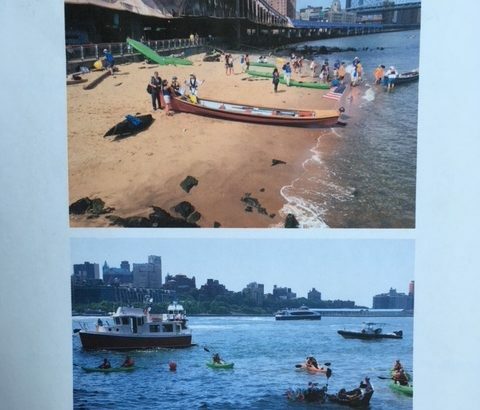 Advocates have been fighting for public access to this beach for a long time. They have been met with a constant “No” from the New York City Economic Development Corp. (NYC EDC) which has repeatedly used its commissioned 2015 Feasibility Study – which cited volatile currents and other water-based issues – as reason for denial. 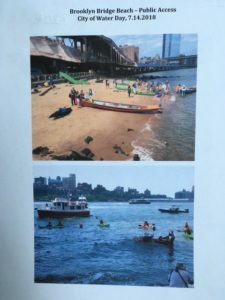 When access was asked in April 2017 for an Earth Day cleanup event on the sandy beach only with no water involvement, EDC – not able to fall back on water concerns – stated that “soil conditions” would need to be studied. Advocacy to open up this portion of the waterfront to the public continues.